Plant-based meals catch a lot of flak for being bland, boring, and, well, not tasty. But not in Cleveland! 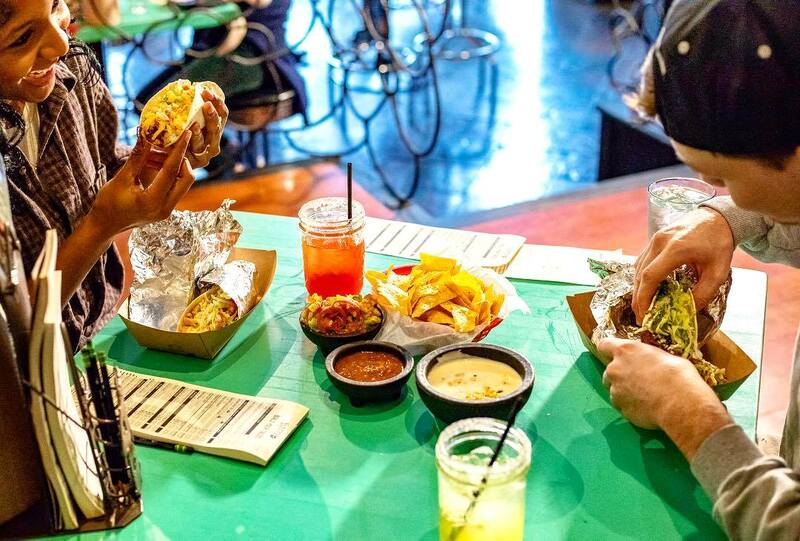 Our city is chock-full of restaurants serving delicious foods that cater to vegetarians and vegans alike. Hallelujah! 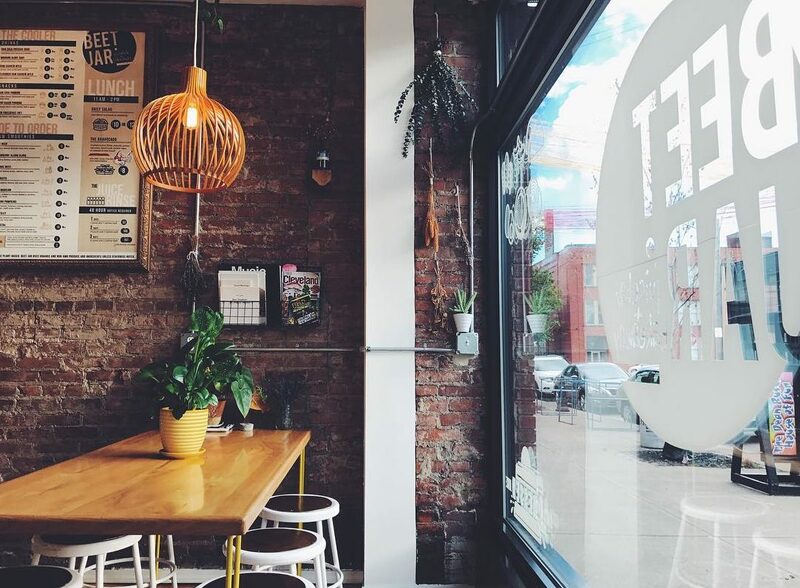 So head to these spots in town to dig in on all the best plant-based creations CLE has to offer! Who doesn’t love tacos? (Crickets). Exactly. 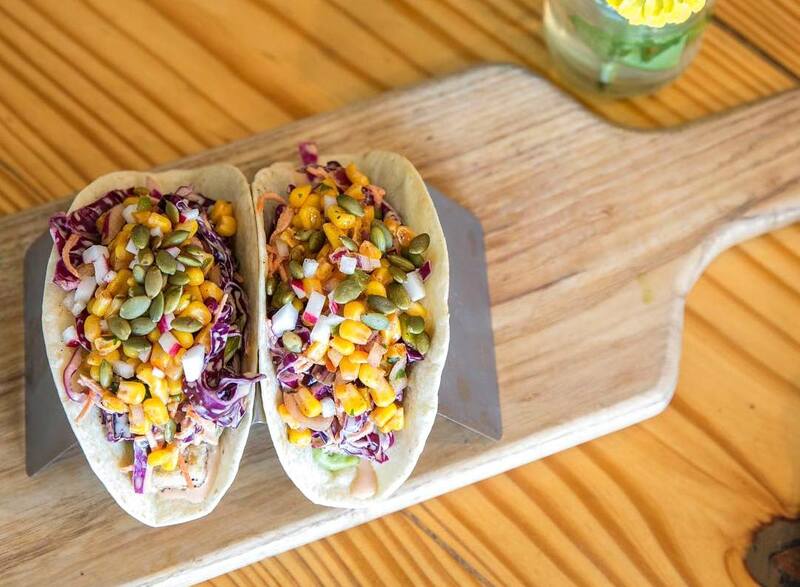 And at Barrio, you can custom design your perfect taco or bowl. 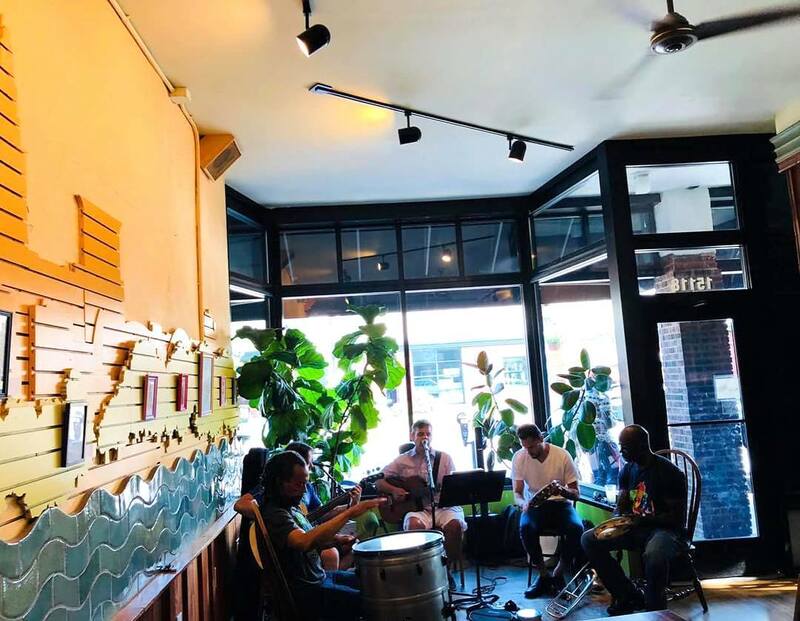 Whether you’re in Tremont, Lakewood, downtown, or one of their other three locations, you’re never too far away from Barrio. They have tons of vegan and vegetarian options (their Thai Chili Tofu is to die for) that are so flavorful, you’ll forget there’s no junk in it. So pile that taco high. With so many different kinds of toppings, fillings, sauces, and salsas, the possibilities are endless. Choolaah has some of the most flavorful eats in the city — and the whole menu is healthy, too. 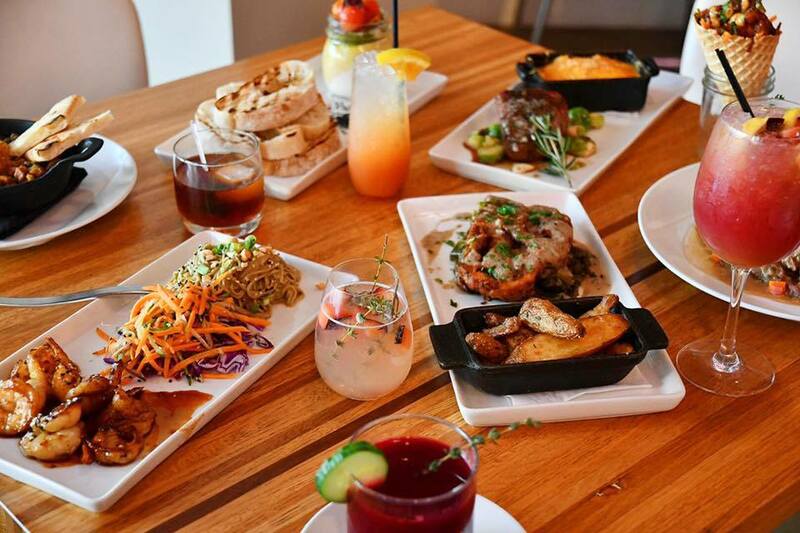 This Orange Village eatery combines Indian favorites with BBQ and their menu features vegan- and vegetarian-friendly options. Be adventurous and try their Veggie Masala Bowl with rice or their legendary Choolaah Salad with Veggie Croquette. It’s good to be plant-based here, but you may need some time to choose with all the options. Fitt Tip: ask them to make recommendations — they always have solid advice in ordering. The coolest thing about Ohio City’s TownHall is their constant dedication to bettering food in Cleveland. They pride themselves on serving meals made with the healthiest local, organic, and farm-raised ingredients. Now that’s food you can feel good about eating. Just as a bonus, Monday nights are Vegan Night! But it doesn’t need to be Monday to get your hands on some healthy eats, their entire menu is free from GMOs and sourced organically when possible. Can Cleveland get any cooler? Our food scene really makes vegan/vegetarian cool(er than it already is). And Cleveland Vegan in Lakewood is doing their part. Everything on this cafe’s menu is free from animal products and uses local and organic produce. Their scratch kitchen serves up munchables for both breakfast and lunch, with everything easily labeled for those sensitive to soy, nuts, or gluten. Finding a restaurant that is free of GMOs, antibiotics, high fructose corn syrup, and artificial — well, everything is tough to find. But look no farther than CoreLife Eatery! This growing chain wants us to fuel our bodies with real food. 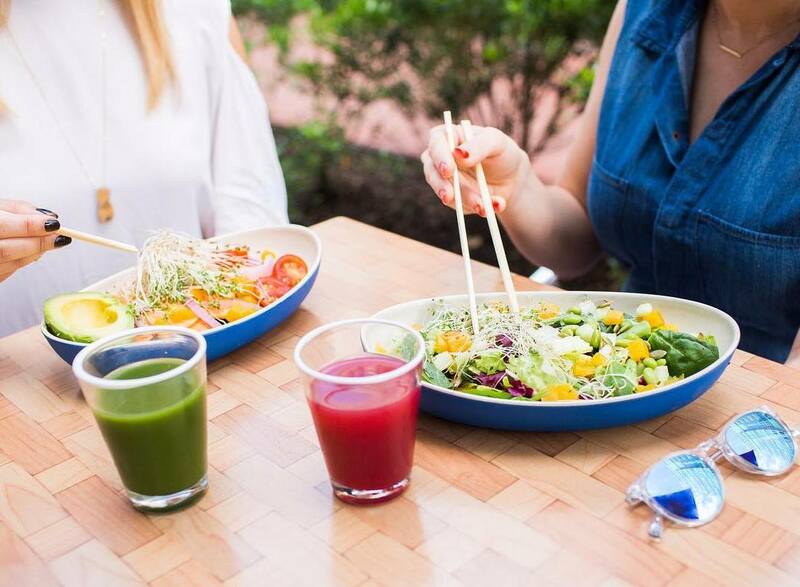 Their menu consists of leafy green bowls, grain bowls, broth bowls, and since they love bowls so much, you can even create your own! 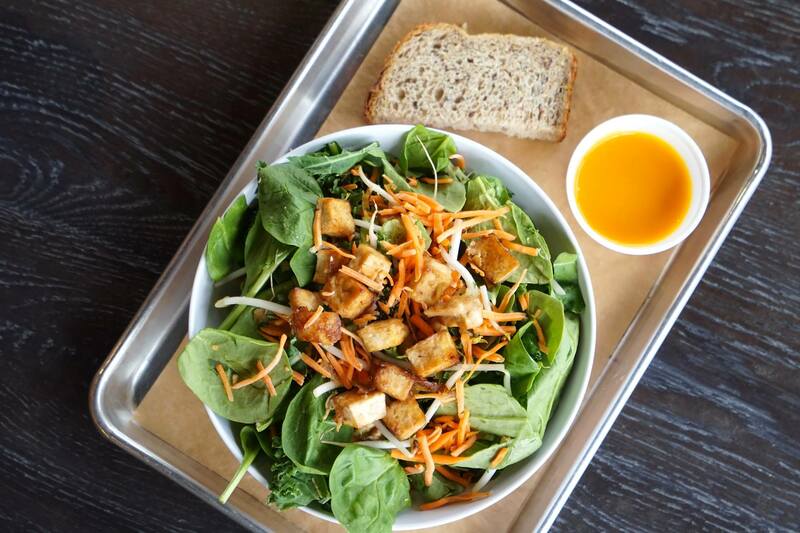 Check out their Strongsville or Mentor locations and be on the lookout for these health-focused chains popping up across the Midwest and East Coast! 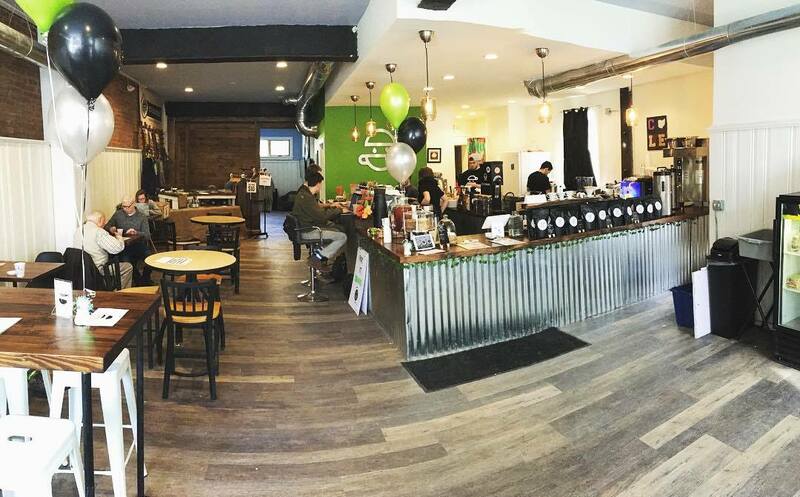 With a name like The Root Cafe, it should be obvious that this Lakewood eatery serves up some mean green food. The Root Cafe serves local and organic ingredients and seasonal menu options (along with some kickass coffee). Oh, and they don’t just have a few vegetarian/vegan dishes, their entire menu is dedicated to this lifestyle. Lunch? Their vegan Taco Salad makes you not miss meat. Dinner? Grab a quick veggie pizza. They even have brunch every Sunday! 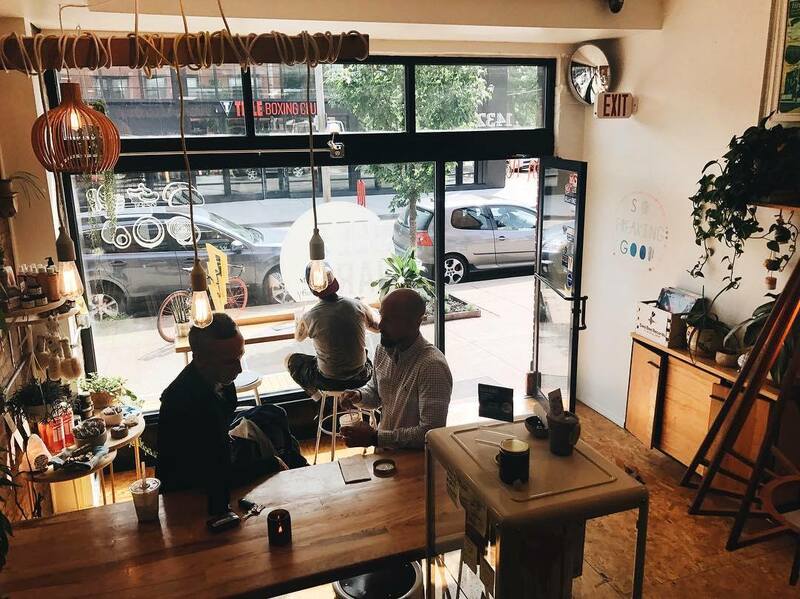 Really, there’s nothing stopping by Hingetown on a Saturday morning for one of Beet Jar’s cold-pressed juices, raw snacks, and green to-go lunches. Their raw-smoothies are a crowd favorite, but so is their staple, the Brovacado sandwich — coconut flakes, greens, red onion, avocado, house-made cashew mayo, all on Sicilian bread! Aladdin’s may not be just a “Cleveland” thing, but they does cater to herbivores pretty well. This Lebanese/American menu was created to reduce the risk of health complications by eating clean. Everything is clearly marked as vegetarian, vegan, or both. No more scouring the menu for what’s safe to eat! 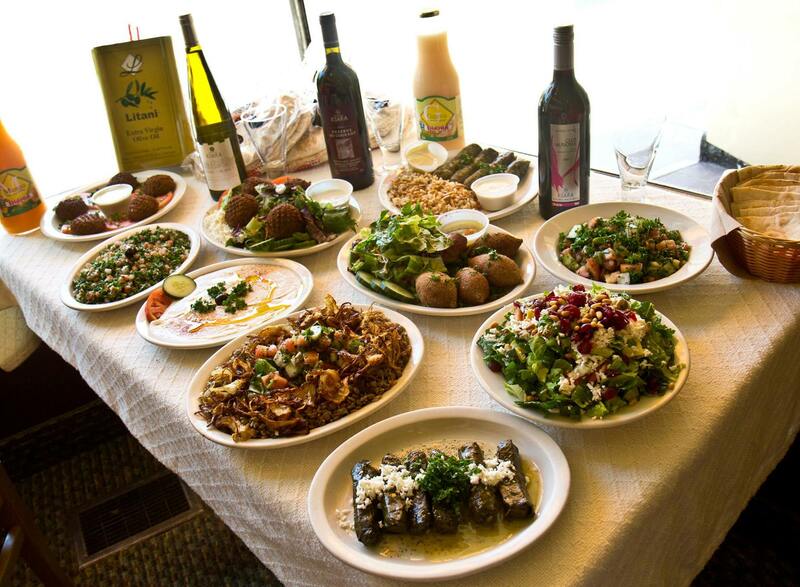 From homemade hummus to fresh salads to pitas and more, Aladdin’s menu will set you up for a FEAST. The best part? You can find them in multiple locations around the city. Refuel at pHuel Cafe (it needed to be said). What started out on Euclid Ave, now has spread their veggie wings with a second cafe on Chester Ave. You know what that means right? More veggie goodness for us! pHuel Cafe whips up unique plates for breakfast through dinner. They even have gluten-free breads, vegan sausages, and veggie patties! But if you’re hanging with omnivores, no worries, they serve meat here, too. Looking for the perfect on-the-go breakfast or lunch? 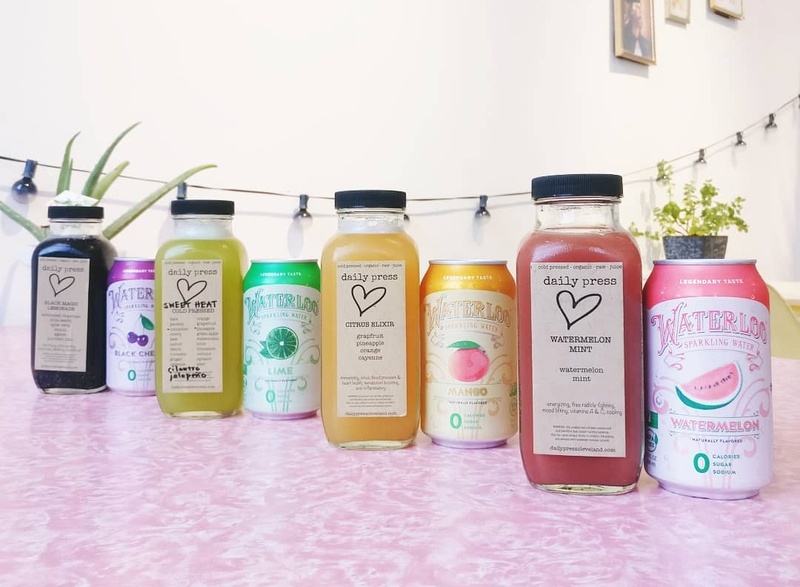 All-vegan eatery Daily Press in the Gordon Square Arts District should be your go-to! They serve avocado toasts and sweet toasts loaded with oh-so-healthy vegetarian and vegan deliciousness. Try the spiced Cucumber Avocado Toast if you’re looking for a little kick. And the Sunbutter Elvis is always a good choice, with sweet toast, bananas, sunflower butter, flax seed, and dark chocolate. Top it off with one of their juice cleanses and hit the road. 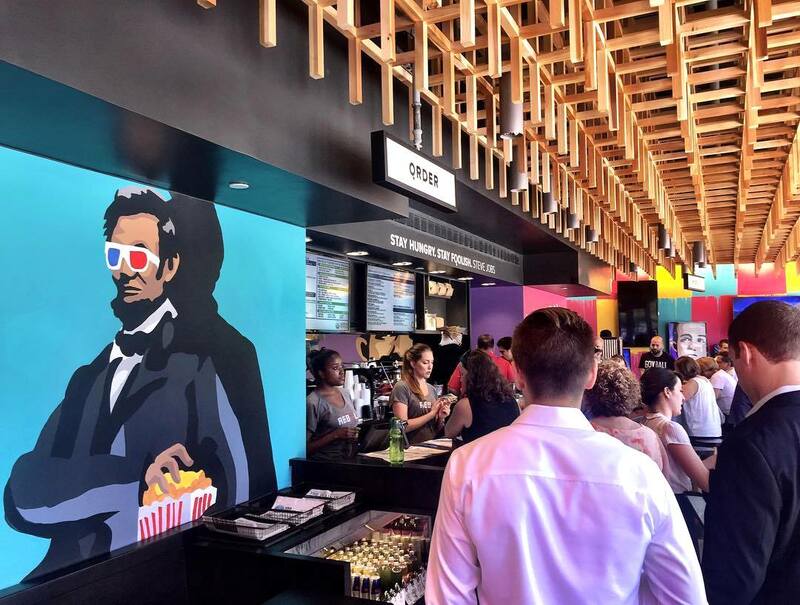 Think of this Independence eatery as the Middle Eastern spin on Chipotle. 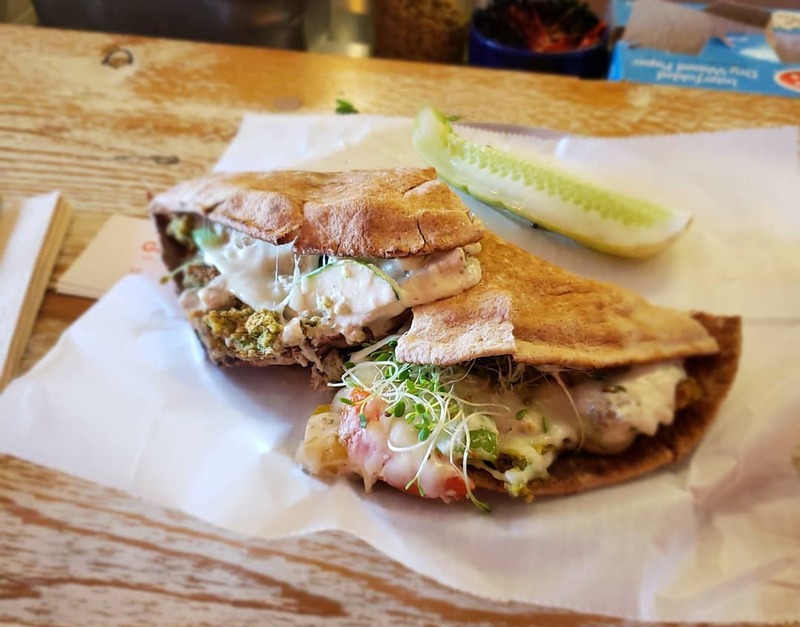 While they may be known for their Chicken Shawarma, veggie-lovers know the grass is always greener on the other side of the menu. Start with a pita, rice, salad, or hummus bowl. Next comes the falafel (if that’s your thing), followed by the green garnishes and one-of-a-kind sauces. Once it’s complete, you’ll have a thing of beauty. 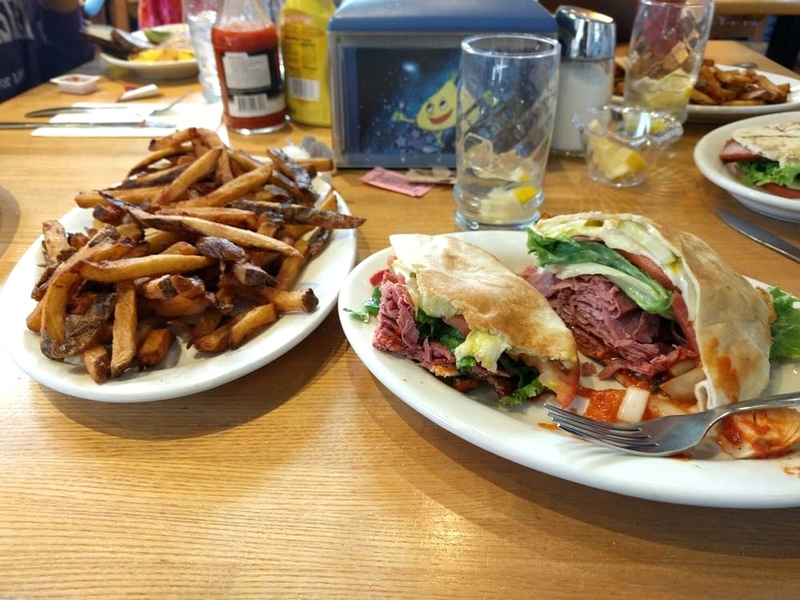 Munch wants Cleveland to know that they cater to everyone — whether you’re a meat-eater, a grain-lover, or a veg-head, this restaurant in Solon will welcome you with open arms. What was once a vegetarian-only kitchen has now expanded to high-quality meats… but don’t worry — vegetarian dishes will always be their passion (we know what post this is). They have everything from melts to wraps to salads to falafels and more to fill you up and keep you movin’. This American/Cuban menu has just enough flare to show people that plant-based foods aren’t bland. (Who started that rumor anyway?) Earth Bistro Cafe on Clifton Blvd. has vegans and vegetarians in mind with noms like vegetable quesadillas, salad bowls, and a variety of wraps and paninis. FYI: they have meat, too, for any uncompromising dinner dates. Tommy’s in Coventry might as well be the pioneer of the vegetarian/vegan food movement in Cleveland. What started out as a milkshake shack in the 1970s is now the health-conscious mom-and-pop-shop we know and love today. From breakfast to dinner, Tommy’s meals are loved by all kinds of eaters. The Peanut butter is made in-house (with no salt or sugar), the salad dressings are all made from scratch, and vegan cheese is also available! Really, it’s going to take you a minute (or five) to decide on what you want to chow down on. Beviamo on Professor Ave. is one of the only coffee shops in Cleveland that has a food menu 100% dedicated to plant-based diets. 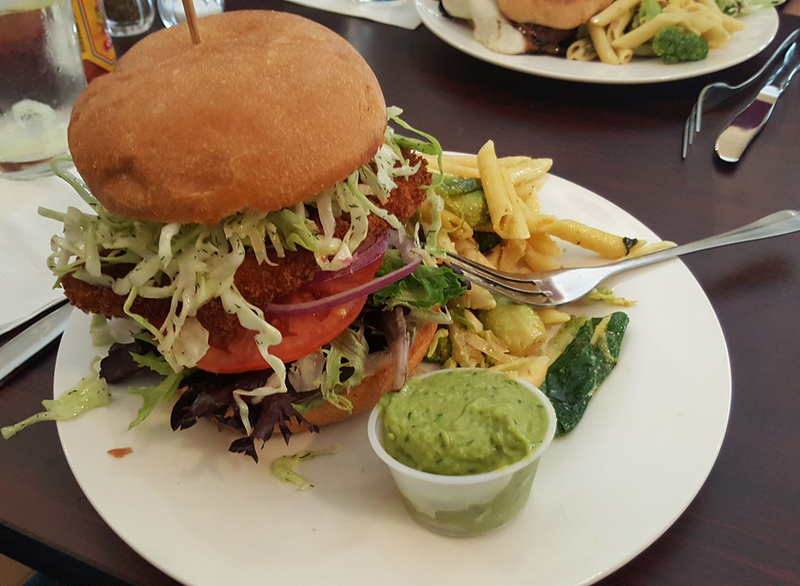 The vegan cafe might be better known for their 100% certified-organic coffee beans, but it’s their food menu that lights up our eyes. Not only do they have smoothies and bowls that range from fruity to true green machine, but they also have vegan tacos, avocado toasts, and vegan grilled cheese! Beviamo is more than coffee — it’s a vegan’s paradise. Contrary to the name, Beefsteak is all about letting veggies shine. They know the power of vegetables and use them as the stars of every dish. 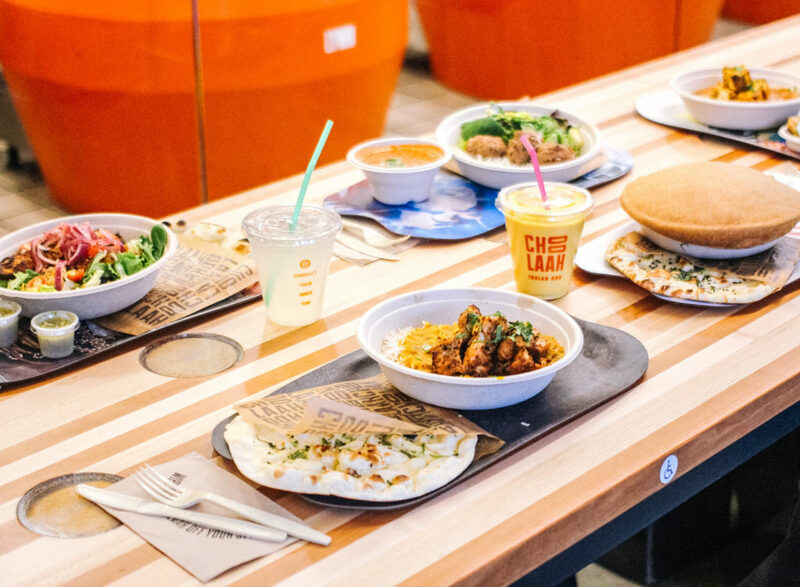 From hearty veggie bowls to fulfilling salads to vegan burgers — this healthy eatery is making a good name for themselves inside their Cleveland Clinic eating spot. 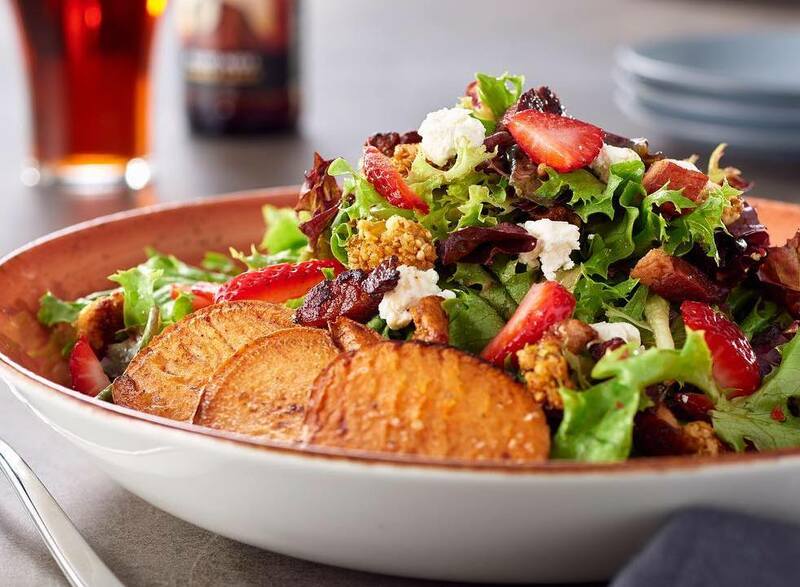 Local and sustainable foods, seasonal salads, and probably some of the most underrated French fries in Lakewood, Forage Public House crafts some of the best veggie friendly foods in the area. They even have the ever popular Impossible Burger on their menu! Grab a beer, some veggie eats, and chill out on their patio. Now, that’s what we call a good day. 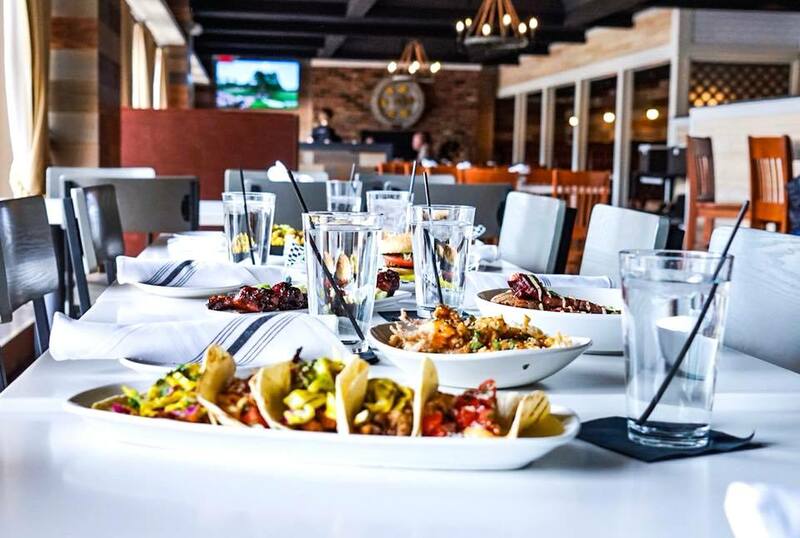 REBoL is owned by the same minds behind TownHall, so health-conscious Clevelanders can rest easy knowing all the food their eating here is GMOs-free. 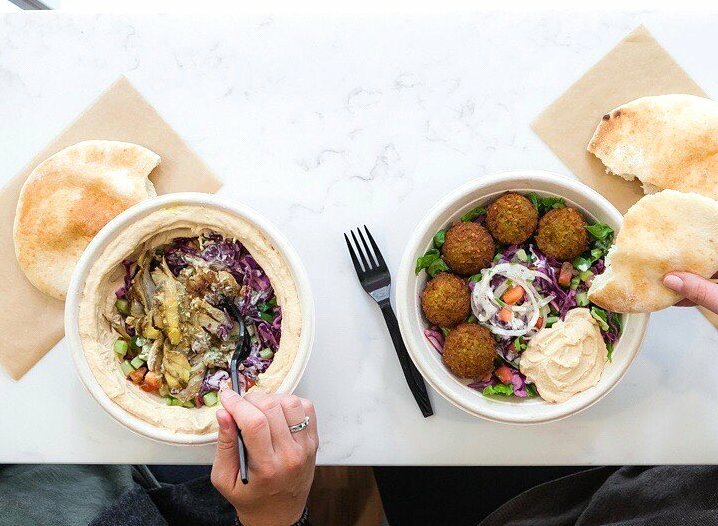 Create your own veggie-friendly bowl or try their signature vegan Falafel Bowl. And since they’re set up in the heart of Public Square, you easily grab a quick bite when you find yourself stuck in the city. 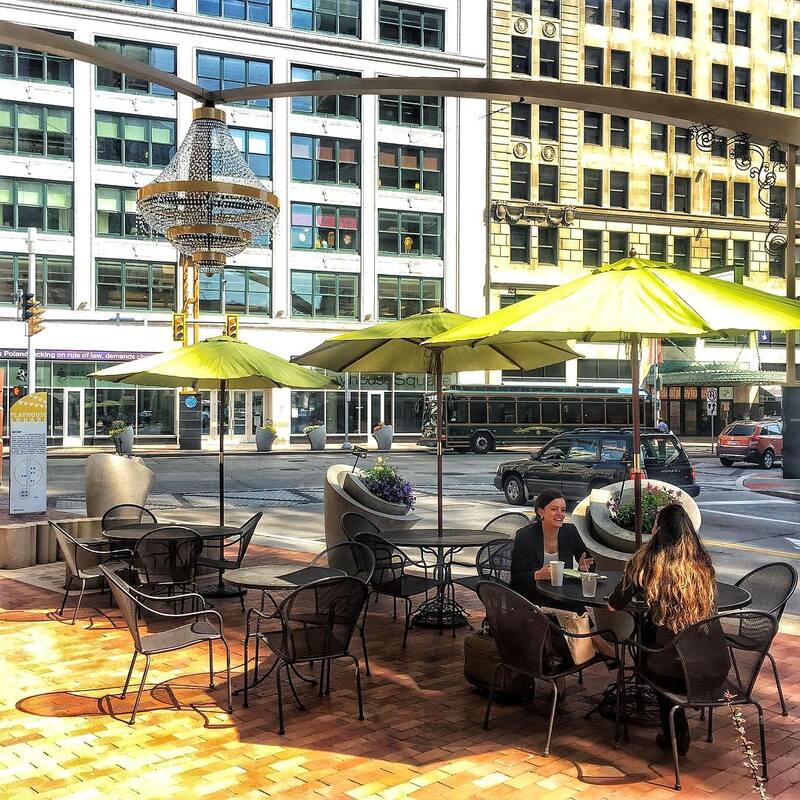 To get a taste of culinary greatness, stop by Pura Vida in Public Square in the heart of downtown. And come hungry — their menu is full of delicious vegan and vegetarian choices for breakfast, lunch, and dinner. Order their vegan Caesar Salad, it’s one of the best in the city, and don’t get us started on their vegan Samosa Burrito (curried cauliflower, white beans, peas, cilantro, and mango-harissa chutney). 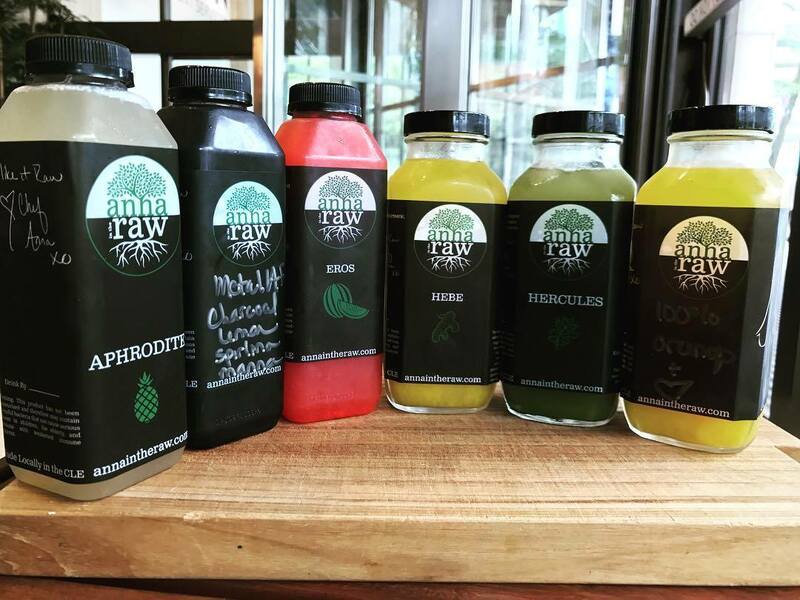 We can’t talk about veggie eats without mentioning Cleveland heavy hitter Anna in the Raw. Inside the IMG building on East 9th St., you can grab a cold-pressed juice, vegan macaroons, kale chips, veggie wraps — anything Chef Anna whips up! 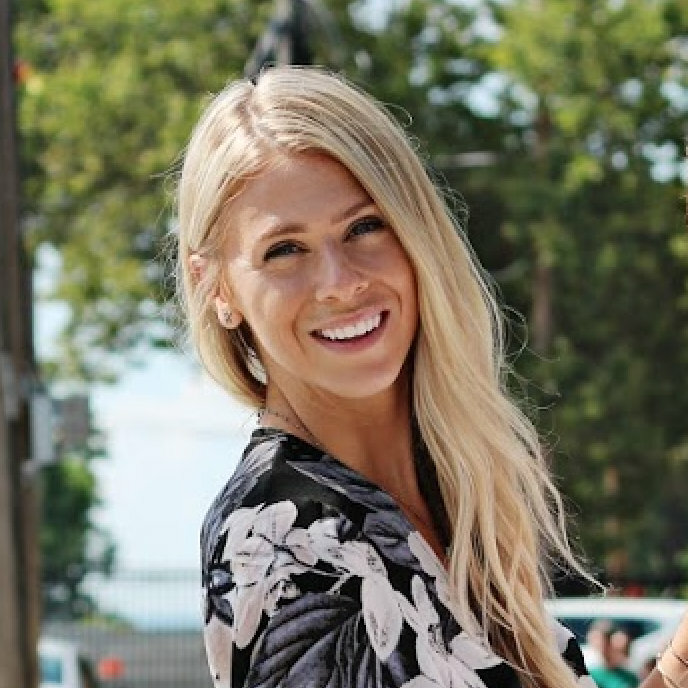 Passionate about clean eating, Anna in the Raw consistently changes up the menu, playing with new and fun ingredients and creating new things for your taste buds to enjoy.